Looking for someplace exciting to spend your birthday? The Tin Can is the place! Spend it with us and get a FREE t-shirt to remember your night! 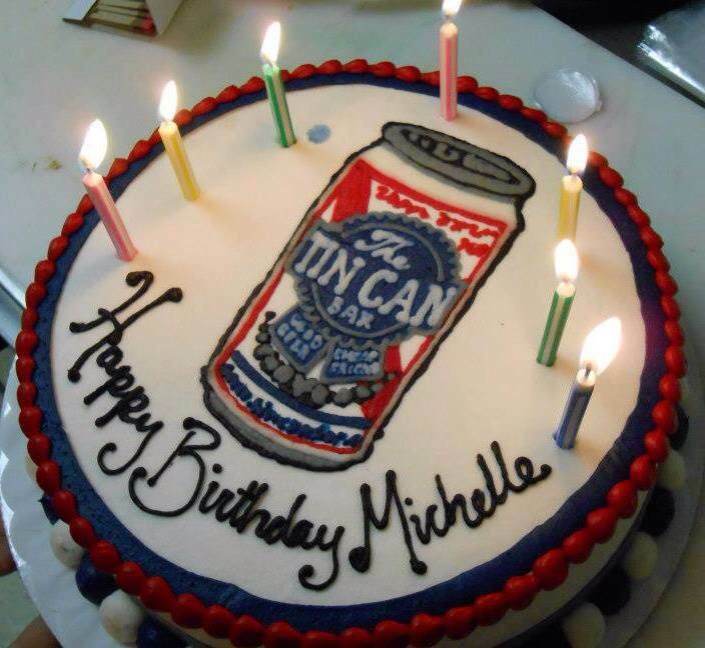 You can also order a personalized birthday cake from your local bartender or by calling or texting Dave. The cake is 20 dollars and requires a 48 hour weekday notice! Grab any gourmet stuffed burger and a 12 oz. domestic beer for $10 out the door! Only available at the East Lansing location. Not available on game days. Cheap Shots In The Can! Love some great deals on shots? Present this card at The Tin Can and get $2 dollar shots of Jameson, Washington Apples, & Fireball. Offer valid only after midnight. Wednesdays & Thursdays at our Downtown location and Fridays & Saturdays at our Westside location. Must be 21 or older. Offer subject to change.